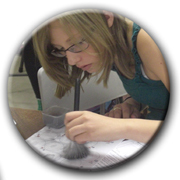 Forensic Science Days are some of the most popular events run by schools – so to ensure ours stands out and offers something extraordinary, we have combined the best forensic equipment and the latest techniques with a truly thrilling storyline. 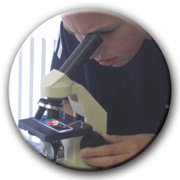 This carefully structured experience encourages students to apply a multitude of cross-curricular skills with cutting-edge science techniques. We give participants a taste of real-life forensics together with the opportunity to solve a mysterious death. Pupils will need to apply their best problem solving skills as they uncover twists, turns and shock revelations in a dramatic film-like mystery. Teams of students harvest, process and analyse the evidence as a CSI-like unit. The question is; can the scientific findings help their detectives solve the case? 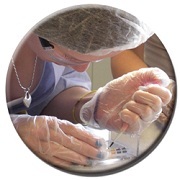 They will learn techniques from the beginnings of forensic science right through to DNA fingerprinting in order to reach a conclusion that fits the evidence. Will your teams ensure justice is done? Dead on Time, the Forensic Science STEM thriller for students in Year 6 – 13, can be delivered as a 1-5 Day G&T or BTEC event and a Summer School. It can be delivered as highly specialised activity days for Gifted and Talented programmes or curriculum enhancement days for a wider range of abilities. Please Note: These activities are typically included in 5-Day events. Events of 2,3 & 4 day duration will include a selection of the above.